Chairman Rogers, Ranking Member Jackson-Lee, distinguished members of the Subcommittee; my name is Mark Van Tine and I am the President and CEO of Jeppesen and the Security Committee Chairman of the General Aviation Manufacturers Association (GAMA). Jeppesen is a wholly owned subsidiary of the Boeing Company and is based in Englewood, Colorado. For more than 75 years, Jeppesen has provided navigation charts, electronic databases, and other information solutions to general aviation and commercial airlines around the world. I appear here today on behalf of GAMA, who represents 72 of the world’s leading manufacturers of fixed-wing general aviation aircraft, engines, avionics, and components. Our member companies also operate aircraft fleets, airport fixed-based operations, pilot training and maintenance facilities worldwide. On behalf of GAMA, I appreciate your convening this important hearing and providing me the opportunity to discuss efforts to reauthorize the Transportation Security Administration. General aviation (GA) is an essential part of our transportation system that is especially critical for individuals and businesses that need to travel and move goods quickly and efficiently in today’s just-in-time market. GA is also an important contributor to the U.S. economy, supporting over 1.2 million jobs . In 2010, U.S. general aviation airplane manufacturers delivered 1,334 airplanes . The total value of these aircraft was $7.9 billion, with 62 percent of that value tied to exports . We are one of the few remaining manufacturing industries that still provide a significant trade surplus for the United States. GAMA has long advocated for general aviation security to be based on risk analysis which focuses on measuring threat, assessing vulnerability, and determining potential consequences. When higher risks are identified, appropriate countermeasures and security postures should be deployed in order to mitigate the situation. At the same time, such measures should be operationally feasible and built upon stakeholder input. We also believe that rulemaking should be performance-based and adaptable based on experience and outcomes. Finally, as we have seen in previous efforts by agencies to regulate general aviation, one size does not fit all, meaning it is imperative for government and industry to work together to secure the GA fleet, and all aircraft in our nation’s skies. Since the events of September 11, 2001, the general aviation community has worked diligently to increase security and awareness of potential threats to the aviation system. These efforts have been the subject of review by the General Accounting Office (GAO) and Inspector General with the IG concluding that, “The current status of GA operations does not present a serious homeland security vulnerability requiring TSA to increase regulatory oversight of the industry.” We appreciate this acknowledgement by the IG and believe we have been a positive, proactive partner in addressing legitimate security threats. It is important to note the GAO commenced another study of GA security in early 2011. • The Advance Passenger Information System that requires general aviation aircraft to file flight information identical to that of commercial operators when entering the U.S.
• The Secure Fixed Based Operator program is a pilot program that provides for pre-departure clearances at foreign locations, like Shannon, Ireland. Aircraft that depart from Shannon meet all requirements, except Department of Agriculture, for entry into the United States. As a result of the aforementioned programs that focus on domestic and international flights, flight training and pilots, GA aircraft have operated in a safe and secure environment. In general, these programs provide a baseline for GA security in combination with a GA community focused on security. There are, however, areas where we believe the committee should focus on for improving security and attaining operational efficiencies. The Large Aircraft Security Program (LASP) has received significant attention from the general aviation community and Members of Congress since being published in October 2008 as a Notice of Proposed Rulemaking (NPRM). The LASP proposal is the first time that TSA has attempted to regulate private air travel. We believe strongly that the TSA should take pains to recognize this and ensure that LASP does not infringe on the ability of general aviation pilots and passengers to exercise their freedom to fly by properly introducing targeted requirements. In this regard, GAMA believes that any final rule should recognize that the vast majority of passengers who board general aviation aircraft are known to the operator and crew, and are made up of employees, guests, family members and clients who typically have close ties to the operator of the aircraft. Unlike commercial operations, passengers in this context are not “revenue service passengers” and unknown, but warrant a uniquely different consideration from a security vulnerability context. In assessing risk, the general aviation “passenger,” an individual known to the pilot, represents an inherent and significant risk reduction which should be recognized and accounted for by the TSA as it finishes drafting a final rule for LASP. Since the 2008 NPRM was published, our industry has raised concerns with the LASP and actively engaged with the TSA to help develop a program that appropriately balances legitimate security risks with the right of citizens to fly their own airplanes. We have made good progress. During two industry working group session in April and May of 2009 set up by the TSA Transportation Security Network Management (TSNM) office we were able to agree on a framework for the LASP rule. Assistant Administrator John Sammon has committed to build upon what the TSA has learned from these two sessions and issue a second NPRM that incorporates suggestions from stakeholders. On May 12, 2011, TSA Administrator Pistole announced to the GAMA board that the supplemental NPRM had been cleared by TSA. • The establishment of a “trusted pilot” system that would require pilots to meet certain requirements before operating their aircraft if that aircraft falls within the TSA-defined scope of LASP. • The trusted pilot would be responsible for conducting key security functions for flights (like they are for all safety functions) including identity verification of known passengers and an established process for subjecting unknown individuals to vetting through eSecure flight. • The “securing” of aircraft after landing and before takeoff at all airports. • The establishment of a sensible restricted items list that takes the place of the prohibited items list originally proposed by the TSA. We also appreciate the strong support we have received from members of Congress who have recognized our concerns and urged TSA to develop a more practical and effective approach. GAMA is asking the Administration to move quickly to incorporate the industry’s input and finalize the rulemaking which is currently pending before the Department of Homeland Security (DHS). Moving forward on this rule with this input will enhance security without the negative impact of the initial NPRM. Much like LASP rulemaking, the GA industry awaits completion of an aircraft repair station security rulemaking by DHS. TSA put forth a rulemaking that would implement security requirements for repair stations in November 2009. 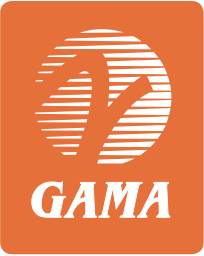 GAMA filed comments about how to establish a risk-based program for repair station in a constructive manner and we sought to underscore the effect inaction has upon exports of U.S. products and expansion into new markets given the majority of airplane and equipment sales are to foreign customers. It is worth noting in his recent appearance before this committee, TSA Administrator Pistole stated during questioning that their investigation had found foreign repair station security to be “commensurate with U.S. standards” . We concur, and believe it is imperative for the TSA and DHS to move forward and complete this rulemaking which will put in place the type of risk-based for repair station security that we support. The Alien Flight Student Program, established in the Aviation and Transportation Security Act and amended by Vision 100 – Century of Aviation Reauthorization Act, creates responsibility for DHS and TSA to perform background checks of foreign nationals seeking flight training in the United States. An interim final rule  creating the program was put forth on September 20, 2004, establishing four categories of pilot training candidates based on the type of training being sought. GAMA believes this rule is not proportional to the risk posed, or mitigated, by the program. For example, the outcome has resulted in international operators electing not to train in the United States, but instead move their training contracts to foreign locations. This hurts U.S. jobs, and the aviation industry as a whole. GAMA has advocated for policies that properly frame pilot training risk against the requirements placed on the pilot through the interim final rule. We have worked to make better use of agency resources and properly classify “recurrent training” to ensure minimal impact on the ability to renew qualifications for existing pilots who already know how to fly specific aircraft. We believe, however, that it is time to build on the lessons learned during the program’s seven years in existence and develop more targeted requirements, reduce the burden created by TSA having to check the same person multiple times within a couple of months, and allow U.S. based flight training organizations to compete on a more level playing field. Flight restrictions are used to protect critical infrastructure, such as dams and nuclear power plants, and provide a geographic boundary for general aviation aircraft operations. Similarly, Temporary Flight Restrictions (TFR) are used to specifically designate airspace around select sporting events, and protect the travel of select individuals. We understand the desire for implementation of TFRs, but suggest a needed review of their impact on the operator community. TSA has successfully worked with industry to minimize the ramifications that TFRs created to support presidential travel. For example, last year the agency worked successfully to mitigate the impact upon flight operations around Martha’s Vineyard during a presidential visit to the area. We applaud this step and believe it can provide an example of how TSA and industry can work together to develop procedures that allow GA operations to continue when TFRs are implemented. It is also important to note that a number of initiatives permit operators to attain additional security clearances and therefore operate in sensitive areas and these can serve as precedent for easing TFR restrictions as well. In the National Capital Region, general aviation pilots are required to undergo FAA administered security awareness training each year. Pilots operating in flight restricted areas, including the Maryland airports Hyde Field, College Park, and Potomac Airfield, are required to obtain additional clearances to access these airports. Similarly, the DCA Access Standard Security Program subjects general aviation operators to a number of requirements, including the carriage of a law enforcement officer on board, and requires departure from one of a few dozen “portal city” airports. The Twelve Five Standard Security Program requires that on-demand commercial aircraft operators using aircraft with a take-off weight above 12,500 pounds to carry out an extensive security program. Finally, the Private Charter Standard Security Program subjects any aircraft with a maximum takeoff weight above 100,000 pounds additional scrutiny of passenger baggage and requires a hardened cockpit door. We mention these programs because each subjects operators to an additional layer of security. It is our belief that TSA should permit operators with any of the aforementioned clearances, as well as those include under the pending LASP, the ability to obtain clearance to operate in TFRs, as they have met a higher level of security requirements. GAMA encourages TSA, and other government agencies, to evolve how restricted airspace can be accessed by general aviation operators through procedural and possible regulatory changes. At the same time, GAMA remains supportive of the effort by TSA to broaden general aviation access at DCA. We appreciate that the agency has dedicated time and efforts to expand the number of “portal city” airports and streamlined the existing procedures, as announced in March of this year, both of which have permitted an increase in GA aircraft operations. We are grateful for the effort, but remain cognizant that impediments with other government agencies remain. We encourage TSA, and other government and industry stakeholders, to continue their efforts to improve access and maintain security. Recently, the GAO released a report entitled General Aviation – Security Assessment at Selected Airports. The report provided a review of thirteen general aviation airports using the TSA Security Guidelines for General Aviation Airports which GAMA helped develop. The focus of the assessment was the availability of physical security measures, such as perimeter security, lighting, locked hangars, and closed circuit television, that could prevent unauthorized access to airports. It recognizes the strides that general aviation airports have made, on a voluntary basis, to enhance security. • Specific programs for certain types of operations such as the TFSSP and LASP mentioned previously. These programs in combination with some basic voluntary steps taken by airports provide the framework within which the GA community’s risk can be effectively managed. The general aviation industry is very concerned about the TSA’s liberal use of Security Directives to implement new requirements on operators that are not subject to the rulemaking requirements of the Administrative Procedures Act (APA). We recognize and respect TSA’s authority to issue Security Directives. However, we do not believe that TSA should use Security Directives to make standing policy unless there is a compelling and immediate national security risk that warrants it. This is an issue of great concern to the general aviation community and we urge Congress to implement mechanisms for review of security directives if they are not temporary in nature. In closing, Mr. Chairman and members of the Subcommittee, thank you for your leadership on these issues and for inviting me to testify. I feel strongly that if TSA, industry, and Congress continue to work together on general aviation security issues we will put in place an effective security system that does not inhibit the freedom people enjoy today to privately use general aviation aircraft. General Aviation’s Contribution to the U.S. Economy, MergeGlobal, 2006. 2010 General Aviation Statistical Databook and Industry Outlook, GAMA 2011. Security Directive 1542-04-08 revision F issued in December 2008.